Carrefour Spain migrated its core business batch applications from Micro Focus to COBOL-IT, realizing important savings, with improvements in technical support. The project consisted simply of replacing their COBOL compiler, and required no data migration. The entire migration was completed in less than a year. 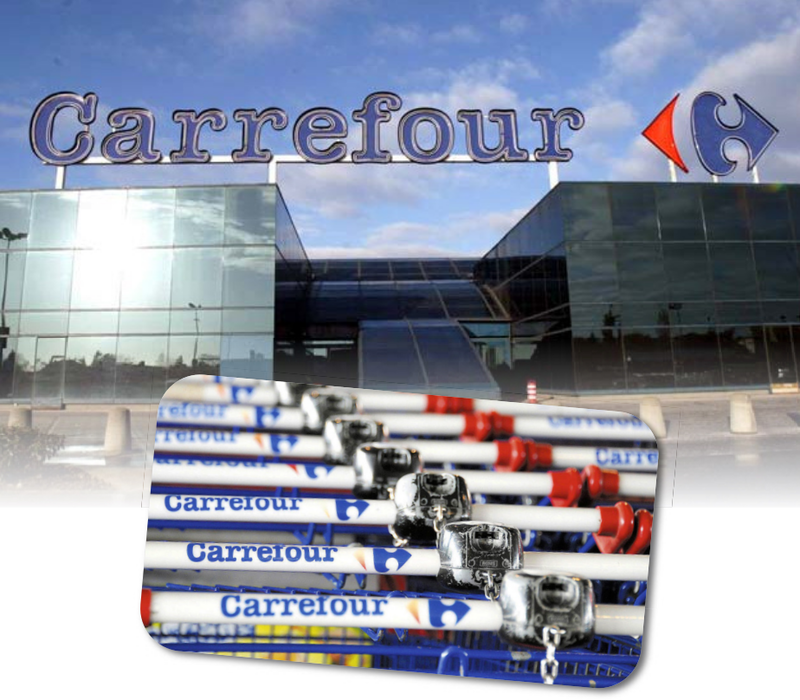 Carrefour Spain is a leader in the retail industry. Carrefour Spain has 175 hypermarkets and 200 supermarkets. More than 600,000 items are managed by Carrefour Spain’s Batch Application, impacting more than 1 million customers per day. COBOL. Other parts of the Enterprise Solution Stack included Oracle 10g / 11g database, and Informix 10.x database. Parts of the Enterprise Solution Stack were written in “C”. The Carrefour Spain Batch Application consists of 18,000 programs with over 15 million lines of code. Carrefour employs between 10 and 40 programmers to maintain the application, which is very dynamic, reflecting the constantly changing demands of the retail industry. After electing to perform their original migration using Micro Focus COBOL, Carrefour Spain found that the cost of maintaining their core COBOL batch application was greater than anticipated, and costs were increasing. COBOL costs were tied to server configurations in a way that made increasing costs inevitable and unsustainable. Carrefour Spain concluded that they had to find an alternative to Micro Focus. More than 600,000 items are managed by Carrefour Spain’s Batch Application, impacting more than 1 million customers per day. The Carrefour IT team considered other COBOLs, and also considered rewriting their entire application in “C” or Java. The COBOL alternative was preferred, with requirements being that the change be transparent to Customers, that code changes be kept to a minimum, and that performance be equal or better than the performance provided by the Micro Focus products. Carrefour Spain also saw an advantage in being able to phase in the migration. COBOL-IT succeeded in meeting all of these requirements. The migration was accomplished in phases, no data migration was necessary, minimum changes were required, performance was maintained, and the entire process was completely transparent to the customer base. Carrefour Spain spent 4 months developing a migration plan and testing it out, and 6 months executing the migration plan. Carrefour Spain elected to do the migration in phases, which created a situation where for some time, parts of the batch application were running objects compiled by the Micro Focus compiler, while parts of the batch application were running objects compiled by the COBOL-IT compiler. It was a requirement then, that the behavior of the objects compiled by the COBOL-IT compiler be identical to their behavior when previously running as objects compiled by the Micro Focus compiler. It was also a requirement that performance be the same or better, in order to work within the same schedule. This presented a number of challenges. For example, some of the COBOL code originally developed on the OS/390 was not standard, either for Micro Focus, or for COBOL-IT. The adjustments that Micro Focus had made to accommodate the code were not always well documented. The Carrefour Spain and COBOL-IT teams needed to work together to find solutions. In the Performance area, some of the greatest challenges came from the change from Micro Focus’ external sort module MFSORT, COBOL-IT’s external sort module CitSORT. It was a requirement that functionality and performance be the same. The smallest behavioral differences had to be reviewed and addressed. COBOL-IT ended up making some changes to their external sort module specifically for Carrefour Spain. In the end CitSORT provided the same functionality, and equal or better performance than MFSORT.